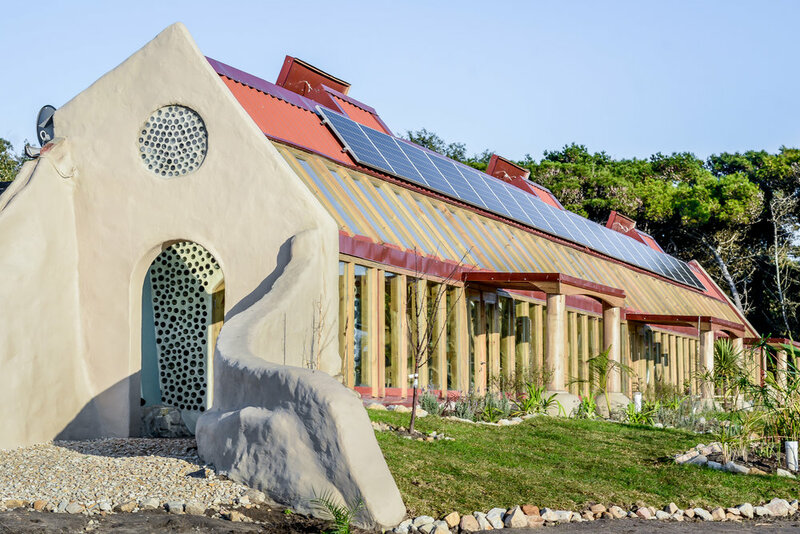 We have built many Earthships around the world, here are some of the houses we constructed for people who wanted to have a life more in tune with the environment... 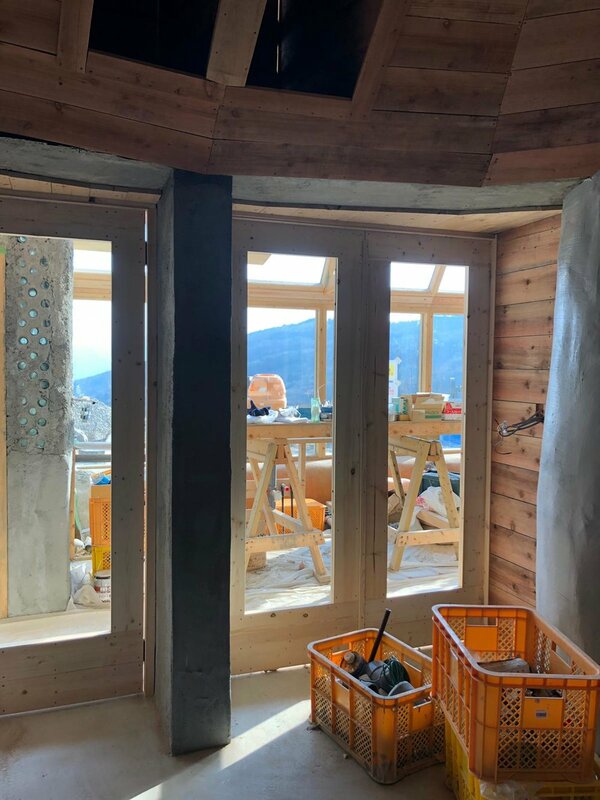 Here are only a few of our latest projects, but you can also see more pictures in our Gallery. 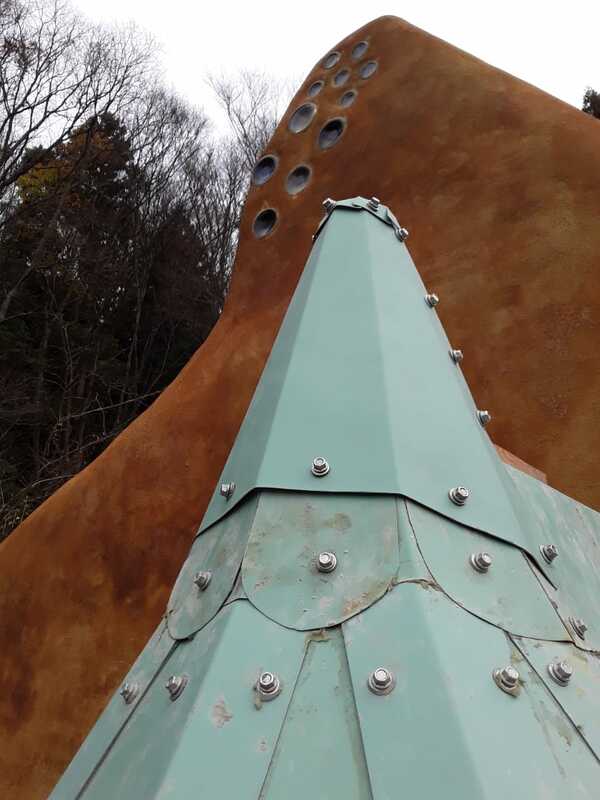 In November, we achieved a beautiful new model of Earthship in Japan during our first Academy in Asia! Here are some picture of the building we have completed with our talented students in just one month! 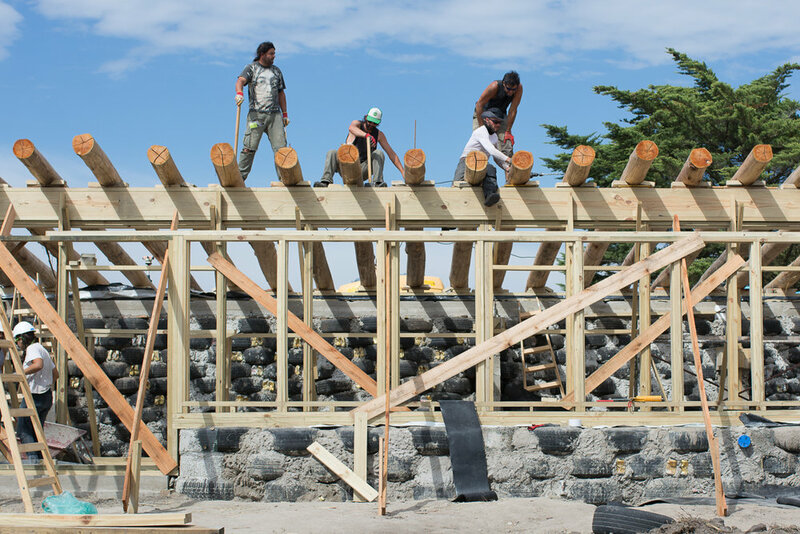 In February, we built the first self sufficient and sustainable public school of Argentina.. 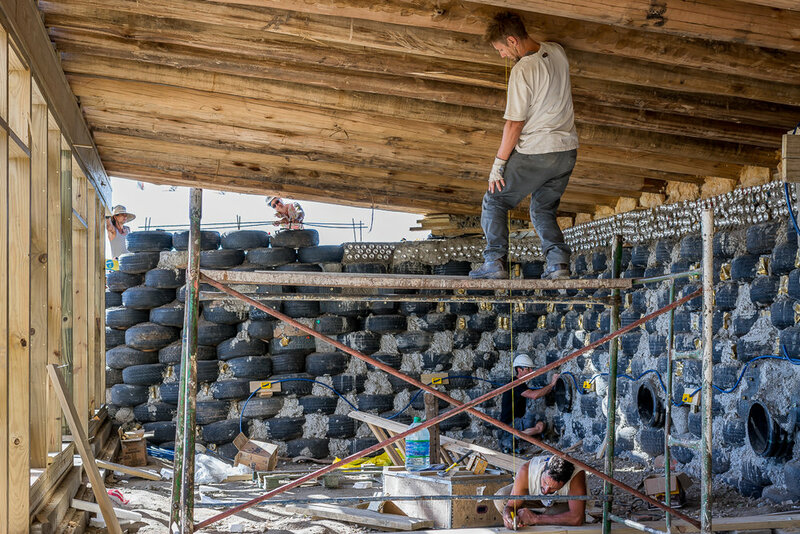 The Earthship in the Dordogne region was built as a “shell and systems” project in one month. 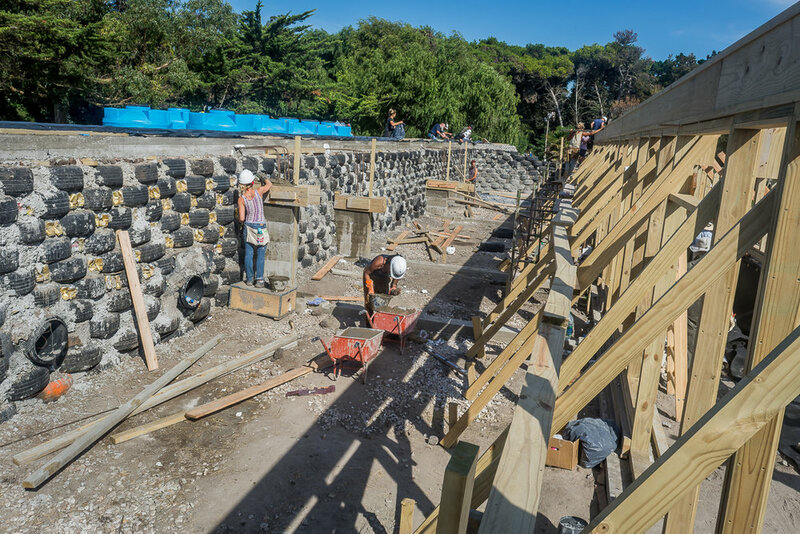 Trained builders and Earthship Academy students completed the structural enclosure of the building and installed all the solar power, water harvesting and grey/ black water systems. 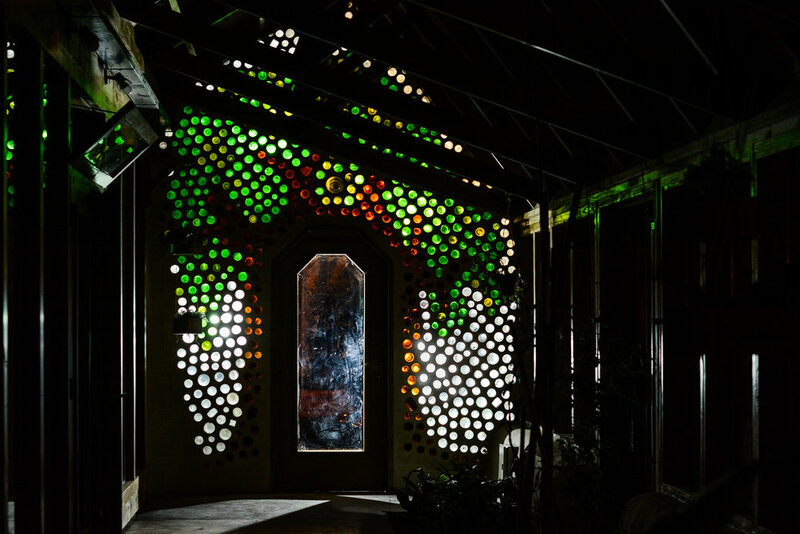 EVE is a planned high-density community where 25 people will live, work and grow their own food. 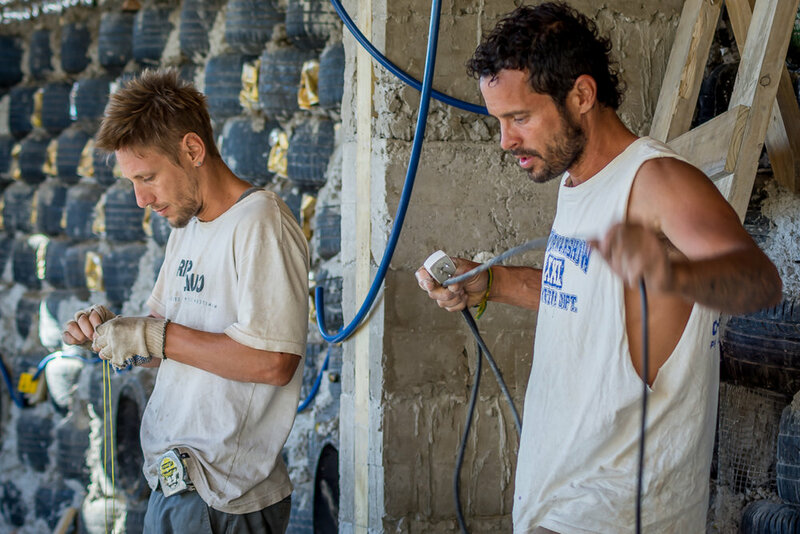 Beyond Earthship solutions to power, water, sewage, and comfort, the EVE project addresses economics. 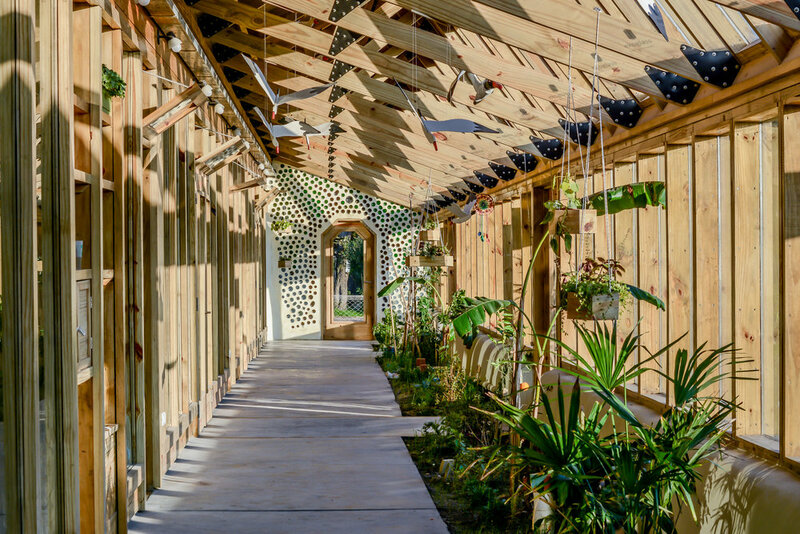 This project is located on the world’s first Sustainable Development Testing Site. Michael Reynolds’ fight to get the law for this site passed is the central story of the documentary Garbage Warrior. 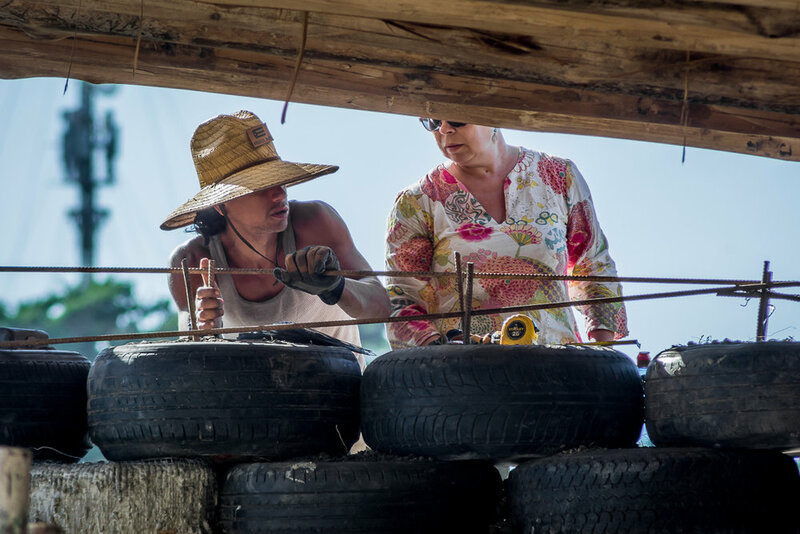 On this test site Earthship Biotecture is able to experiment with methods of sustainable living without having to go through the conventional permitting process. 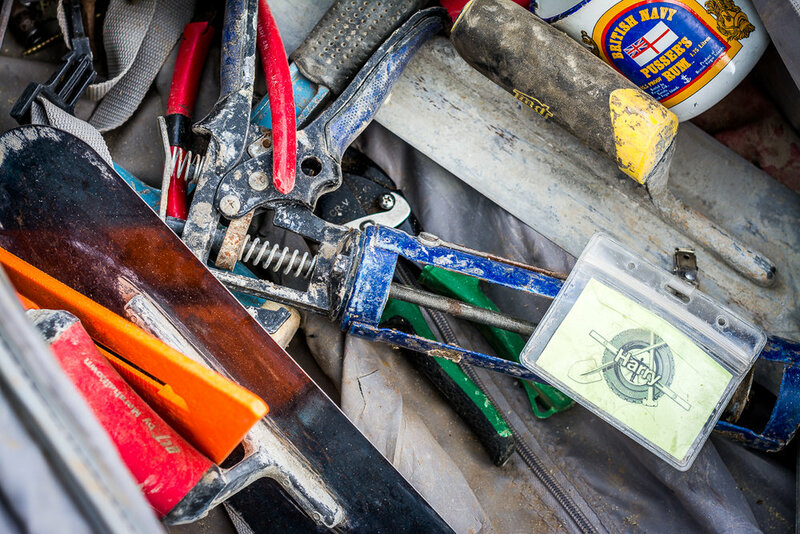 This helps evolve systems more rapidly while bringing down costs. 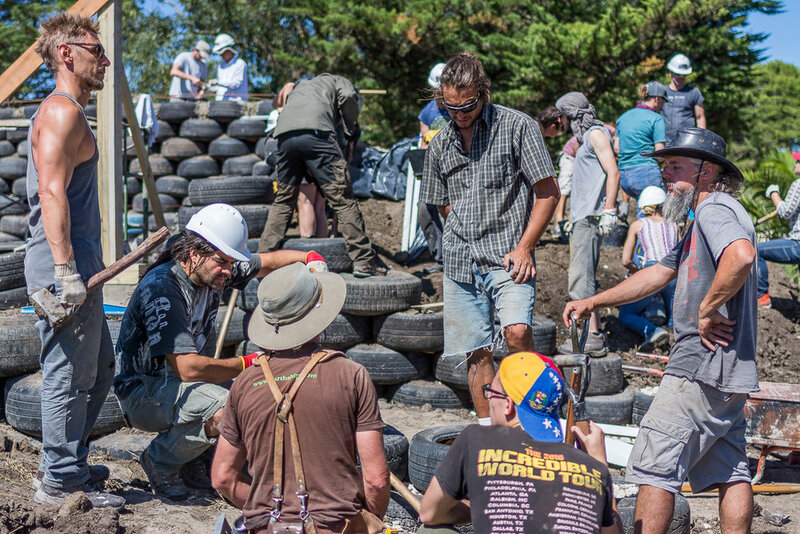 We built the shell and systems of a two story Earthship in Colorado in just two months in 2015. 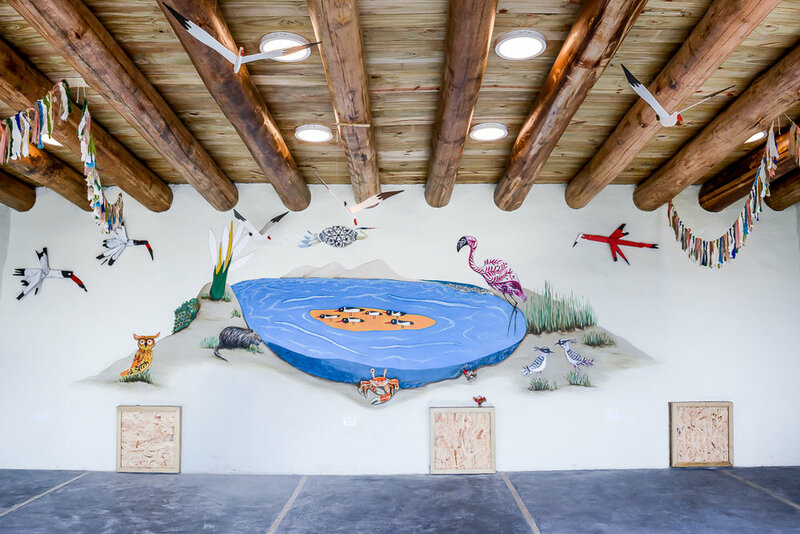 The home will be used as equine therapy center in Salida, Colorado, USA. 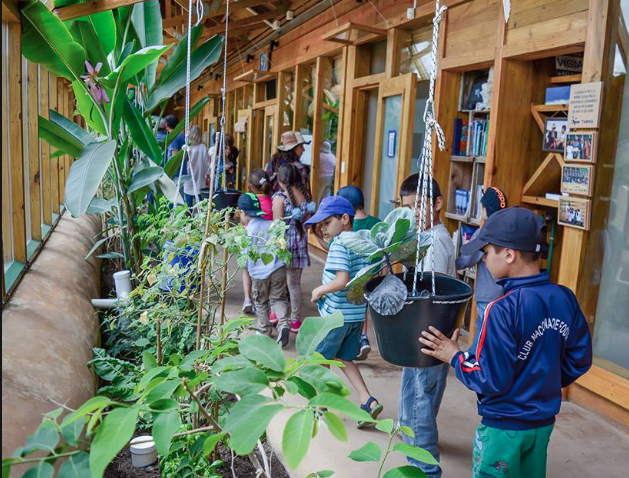 We have been working with TAGMA to make the first sustainable and self-sufficient PUBLIC school in the World, and we were so proud to develop this project two years ago.